From 1850 to 1901; at least seven glass factories operated in Louisville and two others just across the Ohio River in New Albany, Indiana. 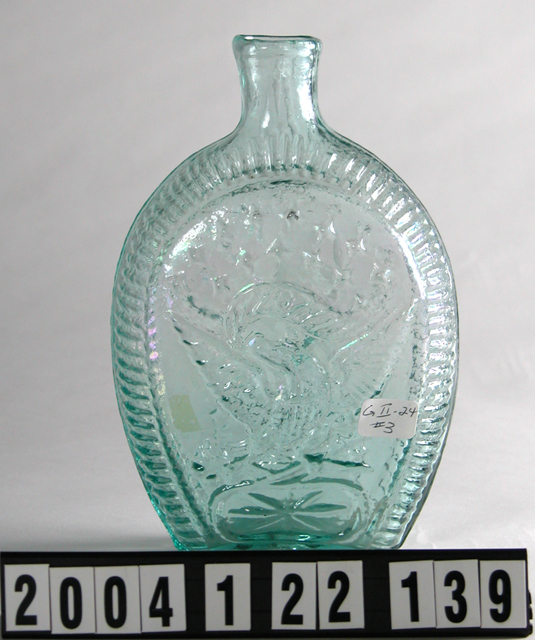 At most bottle-making plants in Louisville the majority of workers were of German heritage. 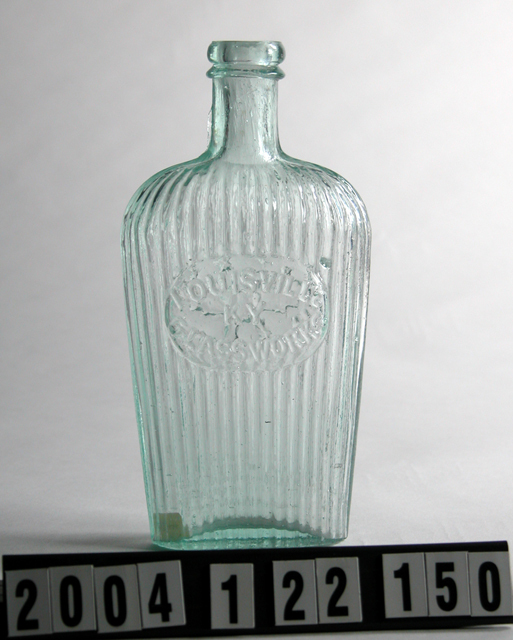 John Stanger, one of the principal proprietors when the original Kentucky Glass Works was founded, was a grandson of one of the seven Stanger brothers who emigrated with their parents and a sister in 1768 from Dornhagen, Germany, traveling on the ship Betsy from Rotterdam to the Philadelphia area. During the late 1500s and early 1600s, the Stenger family of master glassblowers had moved into the Alsace-Lorraine-Moselle area of Europe, helping establish several glass factories in France and Germany. (Stengers remaining in Wingen opened a glass factory which later became associated with Lalique glass.) The Stengers were Lutheran and did not speak French. In Colonial America, the spelling of the family name became Stanger; both the Stanger and Stenger glassmaking families in the United States all seem to be related if traced back far enough. The seven Stanger brothers were brought to America, possibly as indentured servants, to work in the Wistarburgh Glass Works, near Alloway in southern New Jersey. They moved on to start other glassworks in New Jersey, especially in Gloucester County near a town that eventually became known as Glassboro. Here began 148 years of continuous glassmaking, the most extensive and best equipped center in the nation. Distinct styles and techniques for decorating free blown glass emerged, now commonly referred to as the “South Jersey” tradition. John H. Stanger is considered the most important person involved in the glass manufacturing of nineteenth-century Louisville. Born in New Jersey about 1814, he moved to Pennsylvania, working as a glassblower in various positions around the Pittsburgh area from about 1838 through the 1840s. Stanger moved to Louisville in 1849 or early 1850, where he remained active for more than thirty years. He was connected with the Kentucky (later Louisville) Glass Works as late as 1869 or 1870; worked in New Albany at W.C. DePauw’s Star Glass Works from about 1871 to 1877; started up a new factory in Louisville called Southern Glass Company (or Southern Glass Works) with veteran glassblower Charles Doyle, his son-in-law, staying until the summer of 1879; then managed the new Kentucky Glass Works Company [not to be confused with the original Kentucky Glass Works!] at 4th & C Streets until he “retired” on December 9, 1879, according to a January 4, 1880, announcement in the Louisville Commercial. His “retirement” turned out to be a short one, however, since in the early 1880s Stenger moved back across the river (again) to DePauw’s American Plate Glass Company (formerly Star Glass), finally leaving about 1884. He passed away in New Albany on November 3, 1887. His sons, along with other family members, also became professional glassblowers, working in at least five different factories in Louisville, New Albany, and Marion, Indiana.